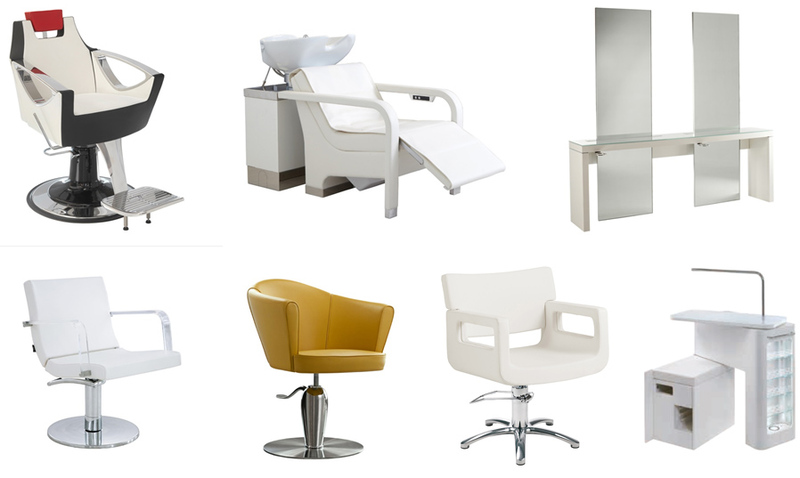 Maletti of Italy supply stylish design Hair salon furniture, Wash units, Chairs, Men’s chairs, Barber Stations, Stools, Waiting seats, Salon furnishing units, Footrests, Hairdryer hoods and Falls, Store furnishing complements, Salon styling units, Manicure tables and furniture salon décor. 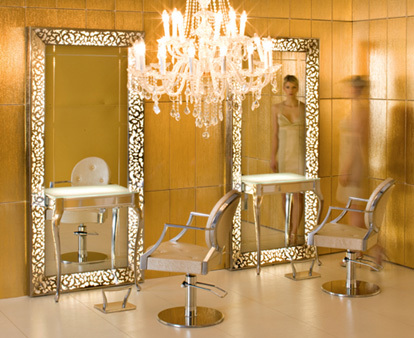 In other words the complete range of Hair salon furniture by internationally acclaimed designers. The complete furnishing systems created by these designers provide finished furnishing solutions for hairdressers and important hair styling salons. 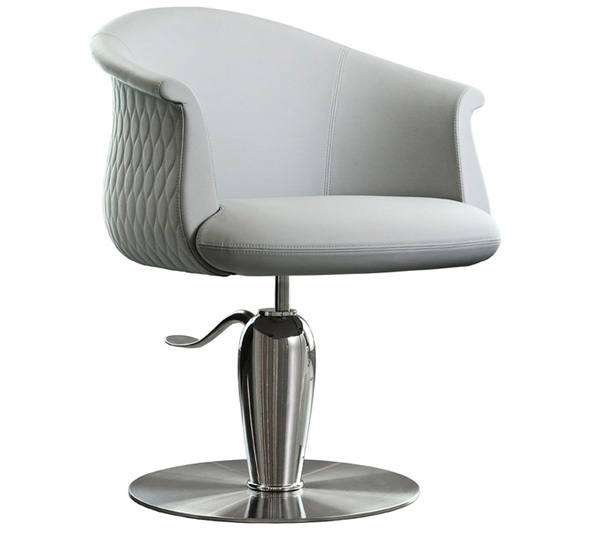 The Maletti line includes various types of armchairs for hairdressers salon sessions. The work armchairs combine practicality and design: Maletti fact offers a wide range of swivel chairs with or without footrest in different materials, including wood and metal. The seats are coated with vinyl and the finishes are customizable. Armchair men with painted aluminum structure and chromed iron platform and polished aluminum details. Wood and shaped polyurethane padding for: back, seat (complete with elastic belts), armrests, leg supports and footrest. 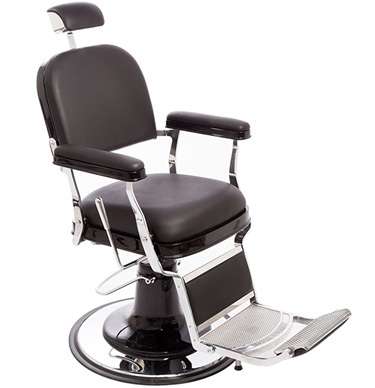 Rotating and braking hydraulic pump, recliner with raise legs synchronized for full lying position adjustable headrest and removable. 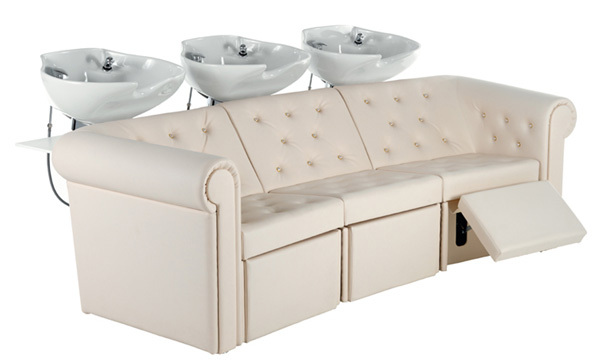 The lavatesta Maletti line includes a wide range of products to furnish the best salons by hairdressers. The columns of shampoo basin, with white ceramic tang, may also include the session. For the hair stylists are given the opportunity to better meet their needs of furniture thanks to various types of sessions, with or without footrest, massaging, reclining, with electric footrest and structure of various materials. The line of shelves for hairdressers salon Maletti was founded in response to any possible need of furniture for hairdressers shops. 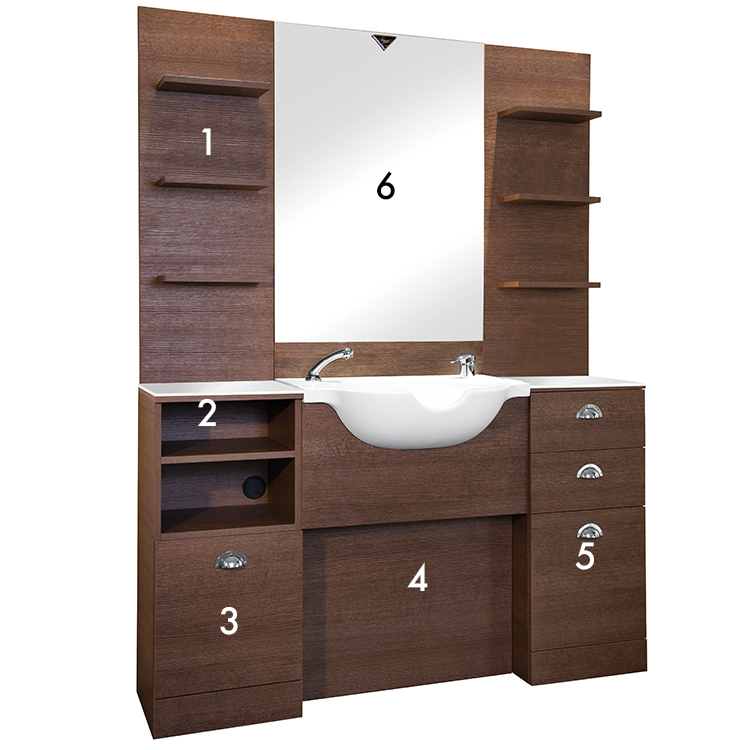 Maletti offers a wide range of shelves, wall and self-supporting, and mirrors to one or two places. 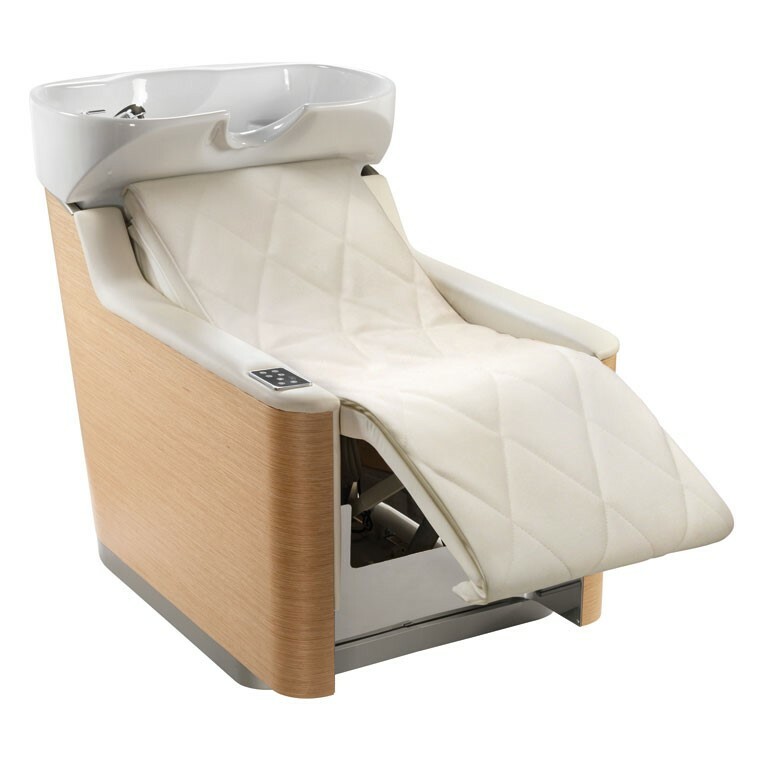 The brackets for the hair salon are available in various materials, including aluminum, fiberglass, stainless steel, and with different additional features, such as door phon, subplanes, footstools, backlight, video. 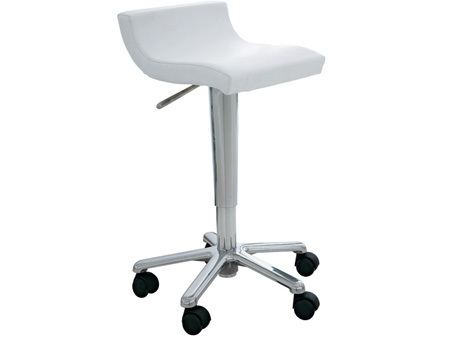 Maletti offers various types of swivel stools, with gas pump, fixed height or adjustable stools and with different finishes to ensure different possibilities of decoration of a hair salon or respond to the many needs of customers.